Quite often I get asked what the reasons could be that his supplier doesn’t accept PayPal? Well it’s not because he wants to rip you off and wants to avoid PayPal’s buyer protection. No, it’s because PayPal payment is not really a widely accepted payment term within the industry plus the fee’s are really high, especially on the sellers side. Many factory’s won’t accept PayPal payments mostly because of the fee’s and because it is difficult to withdraw money in China from PayPal. I often hear on forums or podcasts how they stress to NOT place orders unless the supplier accepts PayPal because of the buyer protection. That information is partly misleading you and I want to explain why. Yes, it does protect the buyer in a certain way but most factories that work with the retail or eCommerce business work with wire transfers and do not accept PayPal. A sample payment or the occasional purchase on Aliexpress with small quantities (20-50 pieces) is the exception of course. It’s fast, convenient and protects the buyer in case the sample or small order doesn’t arrive. Having said all that of course you can try to get the supplier to accept PayPal but do not dismiss a supplier because he doesn’t agree to PayPal payments. One reason why most suppliers also do not accept PayPal payments is because of the high fees for the seller. Most buyers don’t even know there are so many fees and they think the seller is trying to scam them when they ask for additional fees on top. Here is a recent example of a PayPal transaction I have received from a buyer. Being a manufacturer and supplier myself I accept PayPal for some of my orders because I know it is convenient for the buyer but if the amount gets large I don’t. In this particular case the order amount is 500US$, PayPal deducts 4.4% immediately because most people choose “ I am paying for goods & services” which is technically correct but that means the seller has to bear all the fees. That brings us to 477.7USD. Then it gets interesting. 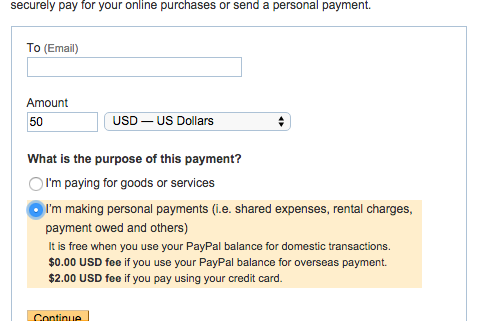 PayPal does not allow the user to deposit these 477.7USD to the users USD account even if he has a USD account. For example, I have 2 bank accounts in Hong Kong and both of them have USD deposit accounts. However PayPal doesn’t transfer the 477.7US$ to my bank account. No, they force me to use their internal exchange rate to exchange into Hong Kong Dollars, even I tell them that I have a USD account (same thing happens in China with Chinese Yuan or RMB). The official exchange rate as of today is 7.75HKD to the USD. 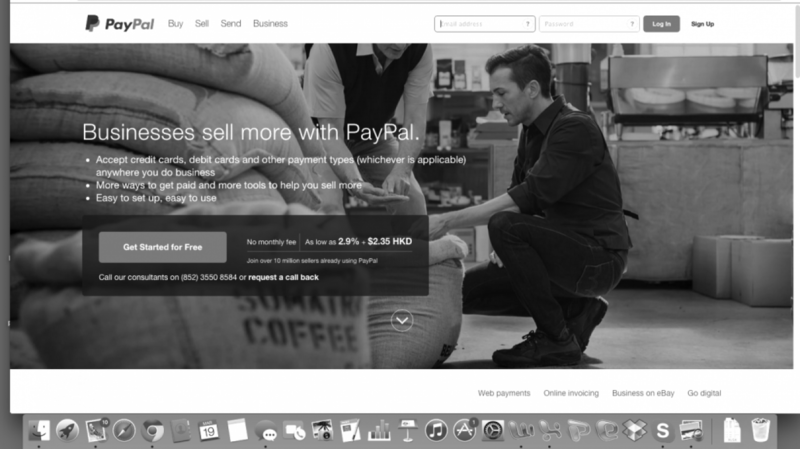 PayPal’s exchange rate is 7.5HKD to the USD. Meaning I lose another 15.38$ in exchange fees for a total of 37.68US$ in fees (8%). So essentially I get 462US$ paid to my bank account which is not fair for me as the supplier either. Thats why when someone insists on PayPal payment I usually add 8% to the total amount and so do all the other suppliers. Now imagine the amounts get to 2000$ or above. The fees on 2000$ with PayPal would be 160US$ while a simple bank wire transfer would cost 15$. Wouldn’t you like to save that kind of money? You could have an inspection from one of the cheaper services available on Alibaba for the amount you are saving on fees. The most common payment term accepted is T/T payment or wire transfers and thats why suppliers are most likely telling you that this is the only form of payment they accept. This is not a red flag for you, it’s actually a sign they are serious and not a mom & pop shop who accept PayPal. All the retailers worldwide work with this payment term. There are several common methods of payment, and each have their pros and cons for both the buyer and the seller. The longer you work with a supplier the easier it will be to deal with payments. In the beginnings you will most likely (and should) work with a 30% deposit or down payment on your order. The rest is paid after or immediately before shipment. If you have an established business relationship you could ask that the next order should be paid 100% on delivery (T/T). The supplier can always say no, but if he agrees this gives you financial liquidity. Many retailers actually work on a T/T basis 60-90 days AFTER shipment, allowing them to sell goods already while they haven’t even paid for them yet. That is the ideal situation for you as a buyer but not many suppliers will agree to this term. With a bank transfer, the supplier will receive payment before production starts. Very important: if you agree to this payment, NEVER pay more than 30% upfront. 70% will be paid upon inspection and shipment release. This payment method bears a medium level of risk to the buyer and generally is not recommended when dealing with a completely unknown supplier. There is little that can be done to get your money back if something goes wrong. You can request a re-call of the funds trough your bank but the other side still has to sign and agree the re-call when they are notified of it. However you can protect at least the initial 30% of the money (deposit) by having an inspection and releasing the rest of the money ONLY after the order is to your satisfaction (passed shipment inspection). If you can’t afford or do not want to have an inspection (for example because the total order value is so low it wouldn’t be economical) then I recommend to have the supplier self-inspect and send you an internal inspection report. This report should include pictures during and after production of the product, packaging,labels, cartons etc. that shows your order is made according to your requirements. Usually every supplier will agree to give you an internal inspection report. If not, thats a red flag. So it is important you clarify this part BEFORE placing the the order and sending money. A letter of credit is very safe for both parties. However a letter of credit is rather complicated to issue through a bank, costs quite a lot of money, and is generally only recommended for larger purchases ($50,000 and above). What essentially happens is that your bank issues a letter of credit to the suppliers bank and the supplier has proof that you have enough financial capital to pay him eventually. Once the order is produced the supplier will send the requested shipment documents to his bank and his bank in turn will send all the documents to your bank upon which your bank releases the cash to the suppliers bank. The good thing for you as a buyer here is that you can at any point decline to release the money if your order was not produced according to your requirements (remember to have an inspection) and you can ask the supplier to re-work the order if there was any problem. Otherwise he won’t get his money. L/C payments are widely accepted especially for very large purchases because the supplier can get a large credit from his bank to purchase raw material to get production going. The downside is that L/C’s usually have fees of 500US$ or more. Western Union from my point of view should ONLY be used when dealing with people you know very well. There is no guarantee if something goes wrong. Anyone can go and pick up the money you send to this certain person. There is no insurance, your money can be gone and there is nothing you can do. PayPal is a popular payment method for buyers as it presents a much lower risk, ease of use, and generally pretty good buyer protection. Although it’s a popular option with buyers, it’s less popular with suppliers due to difficulties in withdrawing money, high tax rates, and potential charge backs from less than honest buyers. PayPal is widely accepted on eCommerce sites like Aliexpress, DHgate.com or for sample payments. Other than that, the above applies. When using an escrow service, the buyer’s money is held by a third party and is only paid to the supplier after the buyer confirms satisfactory delivery of their order. Escrow is a fairly safe payment method for buying and selling online because it protects both the buyer and supplier. You can read about common payment methods on Alibaba on the Alibaba Safe Buying page. Escrow fees range from 4-11% so this can be rather expensive for both parties. Generally, when you are just starting out and ordering small quantities like 20-50 pieces, you’ll probably want to look for or negotiate with suppliers to either accept PayPal or some type of escrow service to give you the highest level of protection. When you have an established relationship with a supplier you should aim at T/T or L/C payment possibly with terms that benefit you e.g. T/T or L/C 60 days after shipment as mentioned above. Pay attention to the bank details the supplier gives you. Does the name or the address of the beneficiary match up with the suppliers’s name? At least partly? If not be very careful. Perhaps your contact is even asking you to wire money to his “boss” or his “personal account” because of internal finance issues? DO NOT believe that for a moment. If the information doesn’t match up ask why and if there is no good explanation, walk away and look for a new supplier. So I am pretty sure everyone read the news that Amazon is helping Chinese factories to get their brands listed on Amazon. It’s actually old news as the Amazon team has been on the grounds in China for a few years now. Everyone is worried now which is understandable. One thing they definitely have advantage in is the price, but let me explain why that doesn’t matter. 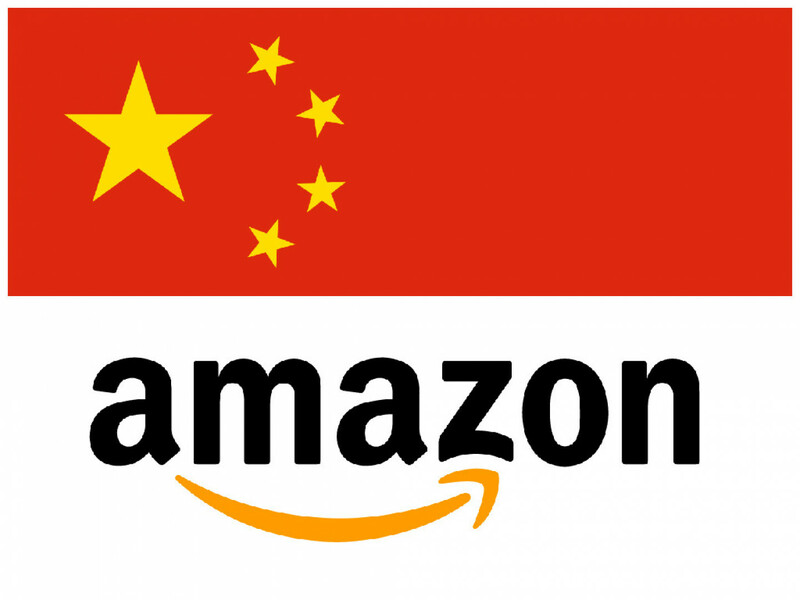 Let me take off some of your worries right now and explain why this will not impact your Amazon business in a short time period and how you can prepare to be ahead of the Chinese sellers. Most factories have high MOQ’s and thats often because they need to purchase a certain amount of raw material from their sub-supplier. To do so they need orders. Bringing me to the next and most important topic, taking risks. When they sell on these sites, the packaging you get is probably in Chinese, as is the instruction manual. A factory does not produce on their own risk and try to sell it somewhere. They always need a customer behind an order. Be it a large retailer, a small time buyer from the Philippines or the occasional Amazon buyer. They don’t have stock of the necessary raw material or packaging because the longer they store it, it will get smudged, dirty and might not be possible to sell it anymore. I know this because I have been to 100’s of factories in my time in China here. When you go to a factory you won’t find their own packaging or raw material on stock. They ALWAYS purchase the material once they have an order incoming. It’s just not economical for the factory to purchase raw material on their own behalf. Margins are so low these days, they need to maintain cash flow for their customers. Sometimes they have some stock but that’s probably from a over-production or from a client who didn’t take the entire quantity. Sure some factories have good cash flow, design & marketing departments and they will sell on Amazon. Those are the ones that you can see now already. But they do not posses the knowledge on how to SUCCESSFULLY sell on Amazon (yet). I don’t know anyone in China who has taken a course on Amazon selling or listening to podcasts on how to be successful on Amazon. And most factories in China just won’t take the risk of investing money into their own product to sell it online overseas. It is not within the Chinese culture that you take a risk for something that you don’t know is going to pay off. Chinese won’t create a listing on AMZ without knowing that their product will sell. They always go after the sure thing (there are exceptions of course). When a factory develops a new item and they get their first order for it it is likely a “naked” item with no standard whatsoever. The factory needs to rely on each customer’s input on what the customers needs in terms of quality. A small importer in Thailand has completely different quality requirements than a large German retailer. The importer in Thailand may require nothing, while the retailer in Germany has all sorts of requirements that involves large investments on the suppliers side. Who do you think the supplier will rather want to work with? Exacly, the Thai importer. Because his quality requirements are low and not much effort is needed to sell the product. So many factories do not have the necessary quality standard on new products. Amazon is heavily investigating into products that do not meet current American quality standards and if your product does not comply it gets removed. There are of course established factories who have meet all necessary quality standards but they are likely comfortable selling to their existing customers. I often hear from suppliers when I ask for a certification of a certain product: “you don’t need that, other customers don’t ask and we don’t have it”. Well excuse me but I will decide what my market and selling channel needs in terms of quality & certification. Amazon is cracking down on many sellers who don’t have proper certification for their product or in most cases they won’t even allow sellers to list products without certain certifications or test reports. After all Amazon cannot afford to be sued by a customer who for example bought a plastic product that comes in touch with the skin and now the clients has a rash because the plastic is made out of waste material and has high toxins and chemicals in it. The quote caused some outrage around China but the majority of Chinese people actually agreed with Carly Florina and posted on Chinese forums like Weibo (largest forum in China). Saying they need to be more innovative and take more risks sometimes. They weren’t offended and I think she didn’t want to offend them, but she did point out the weakness where they have to improve. And that cements my earlier statement “ taking risks” is simply not in their nature. I doubt that Chinese sellers can manage the customer service from China. They would need to hire perfect English speakers and dispatch them completely to their Amazon business. I can tell you that if I ask my suppliers to do so they will probably ignore me. It is considered an investment “not worth it”. At least as of today. It is very unlikely that a factory knows much about launching and promoting a product trough blogs, landing pages, Facebook promotions (Facebook is banned in China), review groups and so on that many of you have paid good $ amounts to learn. But these are the channels that a new product needs when it launches or when it needs to grow. Otherwise your product just drowns amongst the competition and never lifts off to be in the top sellers. Yes, they do have advantage over the price. But that is not the key issue when you sell on Amazon. When a supplier quotes you a price of 5$ his own profit will probably be less than a $. And that doesn’t really give him an edge, because YOU (the experienced AMZ seller) has years of experience, PPC knowledge, Facebook followers, mailing lists, existing products with reviews & social proof etc. that the customer is willing to pay for when making a buying decision. It is not very easy to set up a company in the States for a Chinese company. To be really successful on Amazon you need a private label, have a trademark registered and a company set up. Not many sellers from overseas will go trough this process. Facebook is banned in China. Sure they can get a VPN connection and go on Facebook but who are they going to promote to? Build a Facebook audience with zero friends and followers? That is going to take a long time. Are they going to post on Facebook groups like The Amazing Seller or ImporDojo to post their products? No. The last time a chinese seller promoted his product in my group I banned him. Not because his product wasn’t interesting or I don’t allow it but the way he did was pure spamming. Joined the group, no interaction at all, no feedback to other group members, simply wanting to promote his product to the group members without providing any real value to the group. So you can take one of the most important promotional tools for your new product (Facebook) already out of the equation. When I set up my own company (www.mandarin-gear.com) in late 2013 I had one goal. Affordable products at a great quality with excellent packaging. What Chinese lack at this moment is an eye for design and western preferences when it comes to packaging. They also do not have properly translated instruction manuals on their own. Have you ever been on a Chinese website with English version? Yes? So you have seen the horrible grammar mistakes. This won’t change when Chinese sellers list on Amazon. Yes, they can now list their products trough a Chinese Seller Central account and it’s all in Chinese but that doesn’t change the fact that you need proper keywords and wording with excellent grammar when you want to list & sell your product successfully. Suppliers simply wont be investing their money into proper English translation because they don’t believe in going the extra mile without knowing they will make a profit; so their listings will look horrible. Would you buy a product when you don’t understand half of the text or description? But they already sell successfully on Ebay and provide free shipping? Yes, the Chinese sellers have taken on Ebay a few years ago and some are very successful. But only successful in terms of their sales and because the Chinese Government heavily subsizdes freight costs from China (China Mail). I would say 20-30% of the items sold on Ebay from Chinese sellers are returned or the customers are unhappy with their purchase because of the quality of the product. You can’t refund the item to the seller, you won’t send the item back to China, will you? And even if you can, are you going to leave a positive review? Amazon doesn’t work like that and everyone has to pay the local shpping costs in the US. So while the Chinese seller can send in his product at a cheap rate he still has to pay the local freight costs. And what stops you from getting good shipping rates from China? Most suppliers will offer you the same rates they get when sending goods overseas. Also you can’t just list everything you want (there are restricted categories and legal compliances to be met) and whenever there are returns the clients will leave a negative review. Amazon won’t hesitate to ban the sellers account immediately if the return rates are as high as 20-30%. Amazon has a strict policy when it comes to customers satisfaction and the way I see it not many Chinese factories can comply with their “basic” product on Amazon without having input from overseas buyers on how to improve the product. Now having said all that, there are suppliers out there who already sell on Amazon and there will very likely be more in the near future who are capable of all the above especially with the help that Amazon is doing in China now. But those are are only a few and “we” all have a headstart, the understanding of the marketing, promotional strategy and how the Amazon machine works best. Eventually Chinese factories will figure all these things out but I am giving this at least 5 years. Essentially what is happening now (or has been happening in the last 2 years) is that a retail giant (Amazon) is trying to teach an entire army of manufacturers why they should sell on Amazon. This is a tremendous project and will take some time. In 5 years, survival of the fittest will have set in so now is the time to step up your game and be among those survivors. One of the most important tasks ahead of you now is to master the import trade so you can compete not only in marketing & sales on Amazon but also price wise. What else can you do? 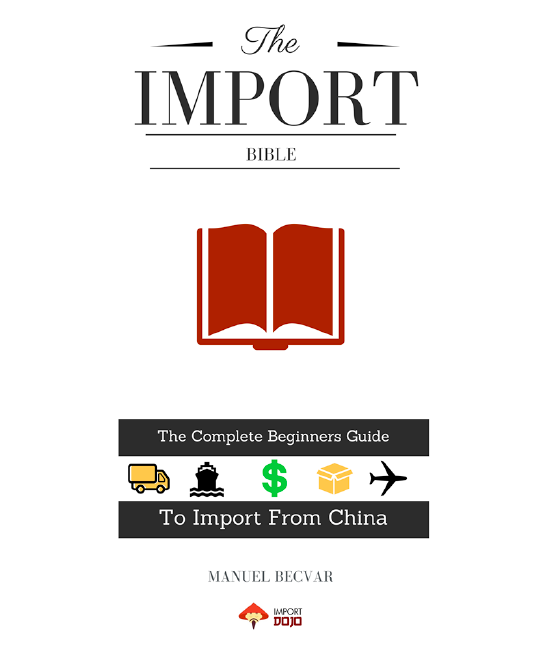 Step up your import knowledge and learn the entire import/export business from the inside out so that you not only have advantage over the Amazon marketing & sales process but also know as much about importing/exporting as the Chinese do. I have been working with Thomas from the beginning of his FBA venture and he just listed his first product boasting incredible numbers in the first few days. He has started his own blog focusing on FBA for the German speaking market and has been documenting his journey along the way (www.privatelabeljourney.de). About the Author: We (Gil and Thomas) are active entrepreneurs in the German speaking FBA market. We run a Mastermind Group as well as a Blog (PrivateLabelJourney.de), a Faceboook Group and a Youtube Channel. If you speak any German or like Google translated content, please feel free to check us out. We started with the good old dream of living a financially free live and being our own boss, whenever and wherever! Through a lot of trial & error and with plenty of help from amazing people we discovered how to quickly build highly profitable brands on Amazon. Everything we teach, comes from two guys that were starting the same way that you did as entrepreneurs with a dream! Proven methods to quickly find the perfect product to improve upon, to bundle or to just market better. People are looking for guidelines and specific help on finding their first product. They are typically not sure what to look for or they simply cannot decide what product might work for them. Next to the knitty gritty knowhow that people naturally lack in the beginning… there often is that missing spark, that will lead to things starting to roll. How to create that spark is what we are going to discuss in the upcoming blogpost. So sit tight! It’s all about awareness. If sourcing & AMZ is always in the back of your mind, every little thing you see or do might remind you of a product that you could create and source… to solve a problem or meet a need in the market. You can check your notes later and compare with products that are sold on Amazon. I am sure you are familiar with Junglescout. If not, here is what it does: Junglescout it is a Google Chrome extension that will pull out data from Amazon listings that you are currently on. This amazing piece of software will then enrich this data with revenue information. Basically telling you, how much people are selling for a certain list of products. Also it will tell you how hard competition might be. We use Junglescout a lot just to brainstorm for new ideas. Because here and there, if you search for a „keyword“ there is no single type of product that will show in results but rather a list of products that will solve your problem. Say you search for „car wash“, amazon results will show wax but also sponges, sprays and similar products used to wash cars. With Junglescout we can compare revenue data real fast to find possible products to source. What you do here is search for products with less than „300“ reviews, costing between $12 and $35 and are sold a lot (US Market). The results will give you a good idea of what types of products might work very well. We are not saying you should source all of those products, but it will be a good starting point to look for more products. The same thing applies to these large excel sheets a few people are selling. Just choose lightweight products in a good price range that sell a lot and you are ready to find your next best product. A method that we use extensively. If you find a good supplier and are very happy about how everything is going you should not forget to ask them what else they are selling. Also ask them what is selling really well to your market. Have them send you a catalogue or an offer sheet with their 15 best selling products. Often,a supplier will sell 20 to a 100 products pretty well and since you have other items from him/her, it might fit with your other products. So just go ahead and ask 🙂 . Thats probably a common method most of you already use. Oftentimes when we find a very promising product, it tells us the seller did something right. Might be he did other good products as well and since many sellers use their account to sell all sorts of products, it can be quite the treasure cove! Be aware that some seller only sell garbage, you don’t want to spy on them… Use Junglescout to confirm profitable products they are selling. This method is a little more advanced. It uses a reversed engineering approach to find new awesome product ideas. On different platforms such as tomoson.com or all those facebook-review groups where a lot of private label sellers are putting up their review deals. So these products are FBA products from sellers that were researching and some of them might be exactly the necessary push you needed to get your brain juices flowing! Look at these products that people are offering on these platforms and get inspired but don´t just copy stuff, think about what you can improve or change on those existing items, think about your target group…what will they appreciate? A lot of great ideas start to develop the old-school way! You will soon realize that there are endless possibilities to sell successfully on Amazon. You will find products you have never heard of and discover items that you thought no one would buy. Use Junglescount on the items that you think might have potential. If you already have a product on Amazon, I am sure you are running PPC Ads. If not, you definitely should! I suggest you take an approach and use a lot of keywords to test the waters. And by a lot we usually mean 500 to 2000. To get those keywords use Google Keyword Planner, AMZShark and SeCockpit. And that´s exactly where you can get ideas of products to source! Don’t forget to take a close look at sponsored products while you browse for some keywords. If you are getting lost deep in Amazons listings, you will constantly see somehow relevant sponsored products. They are there for a reason. They get advertised because they are selling well!! So you can find a very good product just looking ad sponsored ads. Why should you search for new products on a regular basis? After launching your first product you should keep on searching for new great stuff! Why is that you ask? Per our understanding, there are mainly two methods to successfully run an FBA business these days. 1. You either have a few products in more competitive markets and put a ton of cash and energy into improving and promoting those products. 2. You have a series (lets say 10 or 20) of products in a less volume less competitive niche. While you have very little competition, you might still make 1k per month profit off of each product. So it is really not that irrelevant. If you are just starting as a side business, the second method is the way to go! In regards to your private label… you just don’t have enough knowledge, money and feedback to really play with the big boys but you should create it none the less and grow it along the way as private labelling is the only real profitable way to go. Enough with all those methods, what should your first product be? Are there important criteria? Everyone is looking for the perfect product BUT not everyone knows what the perfect product should be! BUT at one point you have to pull the trigger. Just realise that the sooner you start the better. You will learn a ton and improve over time. You most likely won’t make a killing with your first product, but you will get there step by step! There is no “100% perfect product”… that we promise. But that shouldn‘t stop you from taking action and getting things going with sourcing from overseas. If you have done your homework, it is time to start now! Launch and learn. Everything is progress. I recently got interviewed by SellerDojo and I wanted to let you guys listen in on the (49mins) episode. If you don’t have time to listen all the way through, just browse the show outline below to find which spot to listen. In this episode the SellerDojo meets ImportDojo and we have a party talking about ninja tips for sourcing from China. Manuel, the ImportDojo Sensei, has been living and working in China for over 10 years, with 17 years in the sourcing business. He has his own brand, sells to retailers, is a supplier, and does FBA on Amazon. Enjoy this episode as we talk about everything from Alibaba tricks, demystifying electronics, and the Canton Fair. Opening & Manuel Introduction, his history in working with suppliers for Austria’s largest retailers. And his internship in the Hong Kong sourcing office. 3:35 – What did you learn and what sparked your interest to get into your own Amazon and sourcing business? 4:35 – About Manuel’s brand, Mandarin Gear and also Import Dojo. 8:05 – What advice do you wish someone had told you when you first began sourcing from China? 10:20 – What types of products do you source? Because I know many people avoid things like electronics or moving parts, but I see that you don’t shy away from them? Why is that? 14:00 – What category would you go into if you were just beginning? 14:30 – What sourcing sites do you recommend for importing from China? 18:15 – What is Global Sources and how is it different? 20:05 – Tips for paying suppliers in China. Small orders and big orders etc. Paypal, trade assurance, and inspections. 22:25 – Sourcing certain product categories based on their location and Province in China. How to use Alibaba’s search filters to determine and find the right suppliers in the right location. 24:30 – The 3 reasons it’s important to find a supplier in the correct Province. 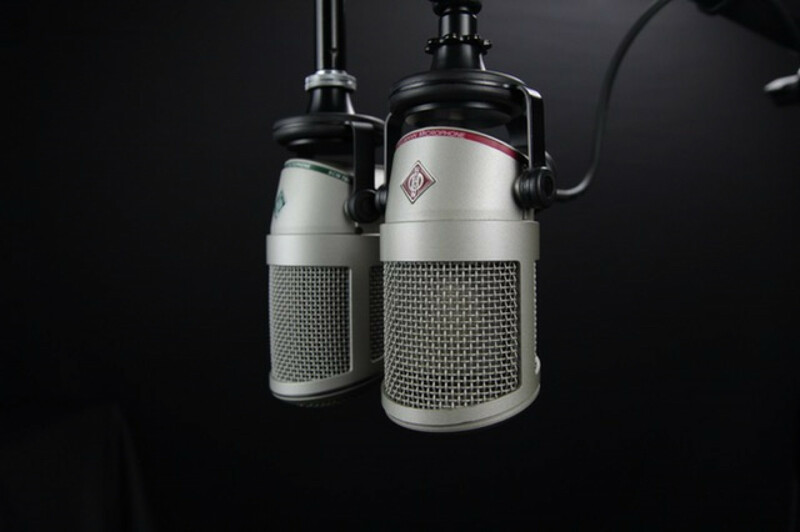 25:45 – What are the biggest mistakes you’ve ever made in sourcing and selling? 27:30 – How should buyers navigate the many parts of the long negotiation? What about large sample fees? Or transaction fees? 28:45 – How to get a refund / reimbursement on sample costs from your supplier. 29:15 – Why there are sometimes large transaction fees, especially with PayPal. 30:30 – How to ask your supplier to refund sample fees once you place a larger order. 31:20 – When first vetting suppliers, what essential questions do you ask every time? And which ones are deal breakers? 33:45 – Once you’re happy with your samples, then let’s talk about customs, freight forwarding, how to get your inventory, do you send to yourself, or to FBA? What’s the process? 35:00 – Manuel’s rule of thumb for calculating landing price to FBA warehouse. Tips for shipping directly to FBA. 37:30 – Pretend you are starting over tomorrow. What niches do you think look most promising? What do you wish you were in now? 38:50 – The niche Manuel thinks is really promising in the future. 40:45 – All about China’s giant expos, Canton fair, and other niche fairs in order to find trends and new products. 43:20 – What’s an interesting trend that you’ve noticed from within the supplier industry in China that most people outside don’t know about? 46:40 – What’s one weird lifestyle habit / skill you’ve gained which you think helps you as an entrepreneur? Hope you enjoy this podcast and would love to hear your feedback in the comment section below.